Many doula training programs say that they provide a quality doula training program or are the best doula training, but what does that really mean? Quality in a doula training program can be defined as the perceived value of the education gained, and the doulas that are produced through that education. Thus a quality doula is perceived as having value by clients and the rest of the healthcare team, and a quality training program is one that doulas or organizations perceive as providing the education a doula needs. Standards ensure that something is of good quality. Standards can come from organizations, people, or laws. New Beginnings is committed to developing quality doulas, and to be a defining standard of what a quality program looks like. Our curriculum is designed to ensure that it meets or exceeds any current standards that have been introduced into the field, as well as developing it’s own standards, which are based off of current theories and research surrounding doula care. A comprehensive doula training program which includes requirements for in-person classroom work, self-study, and practicum work with minimum hours for each requirement clearly stated. Clearly defined requirements for a doula’s education. Good evaluations from clients and health care providers. A publicly available code of ethics outlining the doula’s ethical responsibilities to her clients. A publicly available standards of practice defining the doula’s scope and limits of her practice. A grievance procedure allowing consumers, colleagues, or care providers to lodge an objection against the organization’s doula if the doula violates the organization’s standards of practice or code of ethics. The goal of the grievance procedure is to uncover the facts of the objection and seek resolution for the injured parties or consequences for the doula, including revoking her certification. The focus of a training program should not be focused on speed or cost, but on training quality doulas. Online courses may be difficult, but may be able to offer help if utilizing current technology. ( I have had numerous people tell me that they felt more prepare with our online course than an in person course, and we use current educational research and theory to make sure our online training provides what our students need). The training should be as “rigorous as possible”, and the training organization should be able to stand by that. Having a grievance policy is important for protecting the consumers. Doula theorists have also proposed that in order to provide a comprehensive training that includes communication skills needed as a doula, college level work or online education may be needed. Doulas are taught evidence based care. This includes care that is based on available research, a care providers experience, and their clients own values and desires. (Sackett et al. 2000. EBM, 2nd ed.) Currenlty, AWHONN is developing quality care measures that call for labor support to be evidenced based (AWHONN, 2014). Skilled labor support is taught through use of collaboration with the whole birth team and experiences that build the doula’s skill set. The skills taught have also been identified by the quality care measures as labor support interventions for nurses or certified doulas (AWHONN, 2014). Doulas are taught to help empower and nurture women during birth through a solid knowledge base and experiences gained through their training. 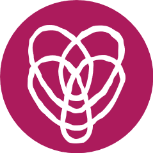 In essence these three pillars embody what New Beginnings stands for: Nurturing the heart and science of being a doula. Sackett DL, Straus SE, Richardson WS, et al. Evidence-based medicine: How to practice and teach EBM, 2nd ed, Churchill Livingstone, Edinburgh 2000. AWHONN. (2014). Women’s health and perinatal nursing care quality refined draft measures specification. AWHONN, 2014. We also provide an introductory course that provides a foundation in assessment skills needed in labor support and in birth-related, evidence-based research.